Hank Green's REAL ADVICE for Creators | VidCon Australia Creator Keynote | Happy Thanksgiving! Previous: PRETTYMUCH Perform LIVE at VidCon's The Night of Awesome!! Hank Green shared some of the best insight and advice into being an online video creator at VidCon Australia's Creator Keynote. 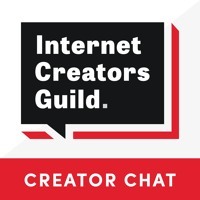 The creator keynote is an exclusive piece of programming at VidCon that's only available to Industry and Creator Track attendees.